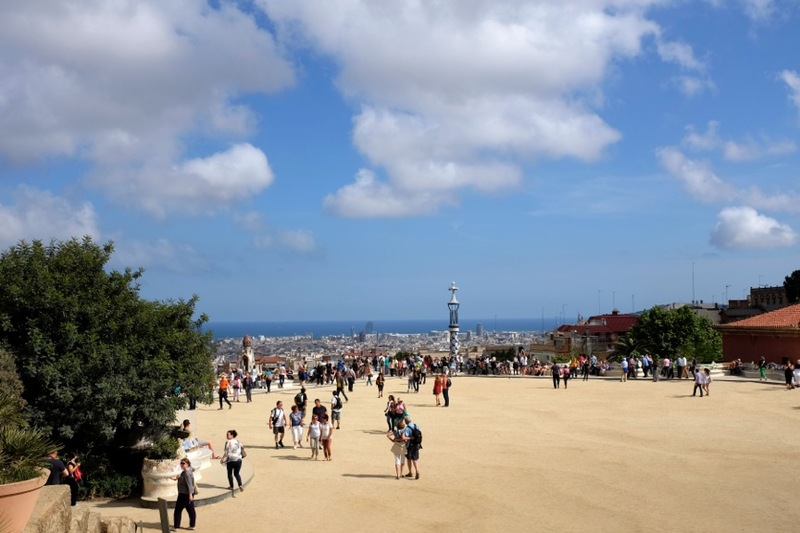 Parc Guell is an historical wonder with by far, the best views of Barcelona. 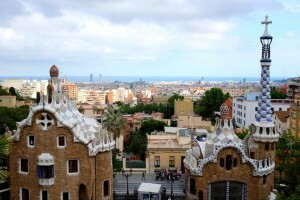 Parc Guell should be on your must see list of Barcelona attractions. With unspoiled views over the city leading all the way to the ocean, its not hard to see why Gaudi chose this superb location to build Parc Guell. 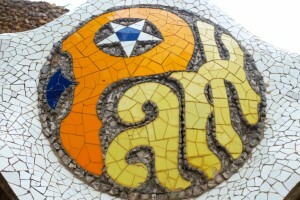 “I imagined my mosaic works as toys for visitors to Parc Guell A multi-colored lizard welcoming guests, a mosaic wall for people to relax and enjoy Barcelona as they gazed out down over the city and to the calm sea”. The colorful mosaic park is a masterpiece and the top Barcelona attractions for a reason. If I lived in Barcelona I would visit often (particularly in the off-season). 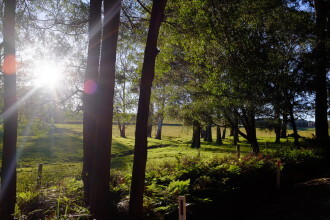 Its a wonderful place to feel inspired and ore in the history. 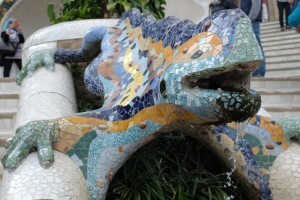 Just think the mosaic lizard that greets you survived the Spanish Civil War. ‘When the Spanish Civil War began a rain of bombs came down, terrorizing the Catalan people- the attack destroyed our Art Nouveua heritage and took thousands of our lives. 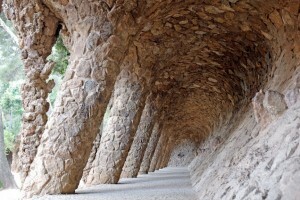 I have used Gaudi quotes in this post from a book I read prior to visiting Catalonia. No one says it better than Gaudi himself. Barcelona is a thriving city and Catalonia has contributed much to the worlds of art, architecture and cuisine. The strength and tenacity of the Catalin people can be felt all throughout Catalonia and Barcelona. The Park is a great example of this, amking it my top attraction of all Barcelona attractions. Parc Guell should be on the top of your attraction list when traveling to Barcelona, you will enjoy Parc Guell whether you are a fan of Antoni Gaudi, have studied art history or don’t care for art and architecture at all. The surroundings to the park complex are very beautiful and a great place to walk and explore a different part of the city. Don’t miss the man-made rock formations shaped like wave (pictured). The famous mosaic wall that overlooks Barcelona is very crowded in peak time, make sure you go early if you want to get great photo without having people in the back of your shot! 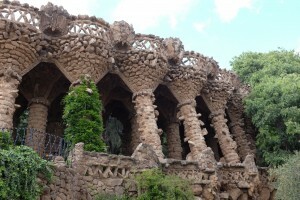 I lived in Barcelona for a few months a couple of years ago, absolutely loved Parc Guell! 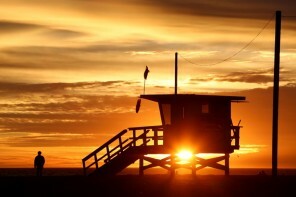 Great article and beautiful images! I can’t wait to travel to Barcelona soon. Thanks for the tips!